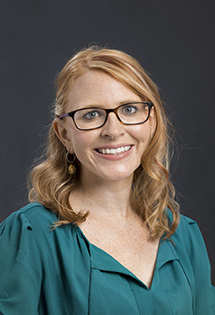 Kelsey Autin is an assistant professor in the Department of Educational Psychology in the Counseling program. Kelsey Autin earned her B.S. in psychology and Ph.D. in counseling psychology from the University of Florida. She completed her doctoral internship at The Ohio State University’s Counseling and Consultation Service. The general focus of my research is on how people find fulfillment in their occupations and how this relates to overall well-being. Within this, I focus on how people’s identities (e.g., gender, racial, social class identities) along with their sociopolitical contexts (e.g., experiences of marginalization, economic circumstances) shape their beliefs about their freedom of work choice and barriers to obtaining decent work (i.e., work in which people are paid adequately and are safe from physical and psychological harm). In turn, I look at mechanisms through which decent work fulfills basic human needs (e.g., needs for financial security, connection with others, and a sense of autonomy) that ultimately lead to fulfillment, life satisfaction, and meaning. My work is grounded in the Psychology of Working Theory (PWT; Duffy, Blustein, Diemer, & Autin, 2016), which places contextual factors as primary predictors of work outcomes. Core to my work is a value of social justice, and I am interested in populations who face significant barriers due to marginalization (e.g., women, people of color, LGB and trans individuals, undocumented immigrants, people from low social class backgrounds). My current projects include: an exploration of how social class and access to basic survival needs influences a person’s desire for and experience of meaning at work; development of a measurement tool to assess need fulfillment; guidelines for infusing findings from PWT research into clinical practice; exploration of moderators in the link from marginalization to work volition; and a longitudinal examination of PWT hypotheses among people of color. Autin, K. L., Duffy, R. D., Blustein, D. L., Gensmer, N. P., Douglass, R. P., England, J. W., Allan, B. A. (in press). The development and initial validation of the Work Needs Satisfaction Scale: Measuring basic needs within the Psychology of Working Theory. Journal of Counseling Psychology. Autin, K.L., Duffy, R.D., Jacobson, C., Dosani, K., Barker, D., Bott, E.M. (2018). Career Development among Undocumented Immigrant Young Adults: A ​Psychology of Working Perspective. Journal of Counseling Psychology, 65(5),605-617. Autin, K. L., Douglas, R. P., Duffy, R.D., England, J. W., Allan, B.A. (2017). ​Subjective social status, work volition, and career adaptability: A longitudinal ​study. Journal of Vocational Behavior, 99 (1-10). Duffy, R.D., Blustein, D.L., Diemer, M.A., Autin, K.L. (2016) The Psychology of Working Theory. Journal of Counseling Psychology, 63(2), 127-148.